The purpose of this website is to help the residents of New Jersey understand the real estate taxes they pay. Taxes change for property owners because of an increase or decline in government spending and the value of real estate. The information provided will assist property owners in determining if they can be eligible for a tax appeal and will also help interpret news articles that quote public officials when municipalities, schools and counties adopt their annual budget. City employees are reluctant to assist taxpayers in appealing their taxes since a successful tax appeal will increase the tax rate. The annual budget headlines are often spectacular, but then weeks later, the homeowners receive their tax bill which contradicts those same headlines. Are you worried about how a reevaluation could affect you? Click here to view how everything that could possibility go wrong with a reevaluation occurred in Hoboken in 2014. When using this website, a user will be able to receive a better understanding of the annual changes in taxes by using all three features. Feature #1 The report will enable a property owner to use a formula that many New Jersey Licensed Tax Appraisers utilize to determine if there is a good chance for a successful tax appeal. A successful tax appeal has nothing to do with how much the city increased taxes in any particular year. The formula only considers the amount a property is assessed and the sales in the entire city but does not take in to consideration recent sales in the neighborhood property is located for the same property. It utilizes the ratio true value that is fixed by the state of New Jersey for all property in a specific city. Feature #2 provides a multiyear breakdown of the real estate taxes paid to each Municipality, School System, and County Government for every municipality in New Jersey. It also will provide the actual dollar amounts of taxes collected and the true value of real estate for the selected city and county. Feature #3 is a ranking for every municipality in New Jersey on the average taxes paid. How a property owner can appeal their taxes. Could your local elected officials increase taxes and blame the Revaluation? Property owners can appeal their property assessment with their County Board of Taxation. Most times the tax appeal filing needs to be done on or before April 1st of each year, but check with your County Board of Taxation for the correct date. The appeal must be filed with the Board of Taxation on their form. Some Boards of Taxation require the property owner to be present during the hearing. Usually property owners hire the services of a licensed appraiser to present evidence of compatible sales to prove their property was assessed for a greater amount than its true value. Some property owners prefer to have an attorney present at the hearing to represent them. Only a licensed appraiser can perform an appraisal and testify to the value of that report to the Board of Taxation. To understand who can and cannot testify at the hearing, a review of New Jersey State Law is needed N.J.S.A 45:14F-21(C). However, some property owners appeal their taxes without hiring the services of a licensed appraiser or an attorney. The most commonly used appeal method by property owners who file their own tax appeals is a Sales Comparative Method. To do this, the property owner will have to search for comparable sales to prove that the amount assessed on their property is greater than its true value. 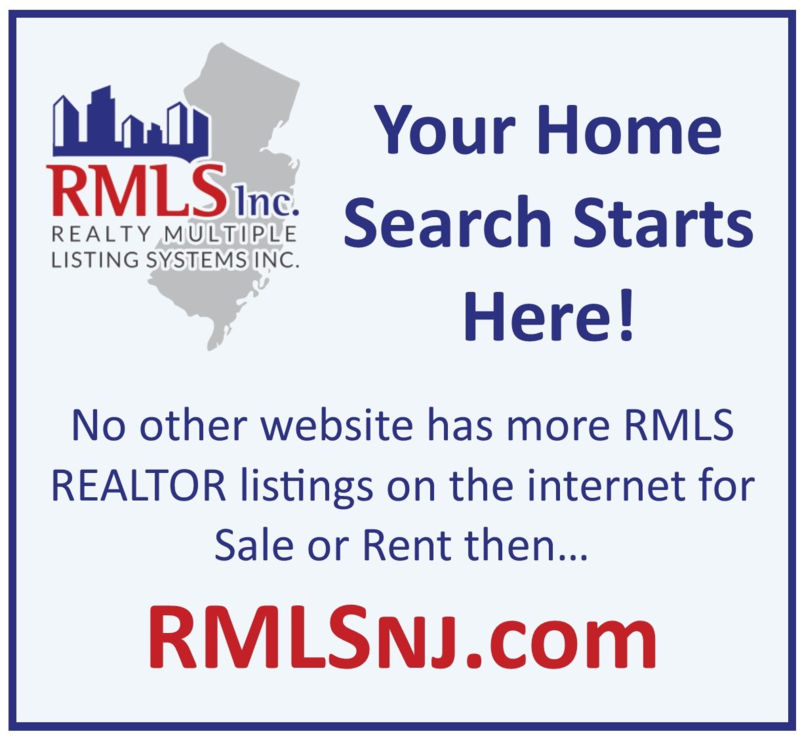 To research recent real estate sales, property owners can visit their local Tax Assessor’s office during regular business hours or use reliable websites, such as NJTAXRECORDS.COM. NJTAXRECORDS is a public web site that thousands of REALTORS and many licensed appraisers in New Jersey use as one of their many tools to research, evaluate and do comparison sales. Also, property owners may receive assistance from REALTORS in searching for comparable sales. A REALTOR, unless licensed as an appraiser, is not allowed to represent a property owner at a hearing. REALTORS may appear at the hearing as a fact witness but may not offer an opinion of value. Before appearing at the hearing, the REALTOR will be required to do an inspection of the property. Additionally, if the property is owned by a Corporation, LLC, etc., an attorney will be required to file the appeal, but the attorney will not be permitted to testify as to the value of the property. Only a licensed appraiser can testify to the value of the property before the Board of Taxation. A revaluation of real estate seeks to spread the tax burden equitably among taxpayers by appraising each property according to its true value and assessing it based on such value. Taxpayers need to be concerned because the local government budgetary process has become much more complex for both municipalities and schools. Many local residents are not well enough informed and often times, the press permits elected officials to not supply all the information needed for the public to fully understand the changes in their taxes after a revaluation is completed. Because of this, property owners need to be concerned that elected officials could go on a spending spree and blame it on the Revaluation. Each year every municipality mails a tax bill and assessment postcard to every property owner. Most municipalities supply their property owners with the minimum amount required under state law, but none that we know of supply a multi-year comparison report of taxes paid to each government entity, i.e. the school, county and municipality. It is not enough for a property owner to get a postcard once a year stating the annual increase or decrease in property taxes. To truly understand the real estate taxes being paid annually, every property owner needs a comprehensive multi-year taxes paid report for the property they own. To view such a report for most properties in New Jersey, go to the feature "Breakdown of Real Estate Taxes Paid". A revaluation of real estate seeks to spread the tax burden equitably among taxpayers by appraising each property according to its true value and assessing it based on such value. This is accomplished by the mass appraisal of all real property in a municipality conducted by a professional appraisal or revaluation firm. The local municipality accepts public bids and enters into a contract a few years before the revaluation is to be completed. To insure the need for professionalism, the State of New Jersey’s Director of the Division of Taxation must approve the contract signed by the local municipality with the revaluation firm. The contract and the revaluation firm must meet certain standards, which have been established by the Director. The revaluation contract is also subject to review by the County Board of Taxation. Comparable Sales Method: This method uses data from the sales of similar properties to estimate the market value of a piece of real estate. Replacement Cost Method: This method uses current building cost to replace the structure and gives an allowance for depreciation. The Income Method: This method requires an analysis of the income produced by a property in order to estimate the sum, which might be invested in the purchase of the property. To view for more detailed information on revaluation, click here. Revaluation can cause a decrease or an increase for some property owners, while others can stay the same. Assuming that local elected officials will not be using the change in each property owners' assessed value for increase spending, then in theory, each change made in a property owners' assessment will be the reason for any change in the amount of taxes to be paid. By using the feature "Breakdown of Real Estate Taxes Paid", property owners can view the total amount of real estate taxes paid and a breakdown of the municipal, county and a school taxes paid over many years. The display will permit the property owner to view if local government entities increased the amount of taxes they are collecting in taxes for a specific property. After the entire revaluation process is completed, each property owner has the right to appeal the results. Once the tax appeal is concluded for those who have their taxes reduced, it means that in theory the taxes they paid in prior years were greater than they should have paid. Additionally, those who have their taxes increased means that in theory the taxes they paid in prior years were less than they should have paid. All taxpayers, regardless if their taxes are reduced or increased, have the right to appeal the new assessment on their property. Even those tax payers that pay no increase or have their taxes reduced can also appeal the decision because it could be determined with the correct presentation that their taxes should have been lowered even greater than it was reduced. In 2012, the Mayor and City Council of Hoboken ordered the reevaluation of real estate values in Hoboken to be completed by 2014. For this they should be commended since the State Treasurer of New Jersey’s office determined that property values in Hoboken were assessed at 31% of their true value. Any time a city has its property assessed at less than 90% of true value; it begins an unfair practice in the collection of taxes. A lower true value percentage causes some property owners to pay less in taxes than they should, while others have to make up the difference. The longer a city delays a reevaluation, the greater the eventual tax increase will be for those who were paying less than they should be. The sudden tax increase can potentially be so large, after a reevaluation, that it forces some longtime homeowners to sell their most valuable possession: THEIR HOME! In Hoboken, the real estate appraisers who were hired to do the reevaluation had three strikes against them before they even started. To insure that only the County would be blamed for the large tax increases reporters were fed information that created spectacular headlines like, County Taxes Increasing by over 18%. However, the truth is, the total taxes collected from property owners for city, school and county showed an increase of the county share of a mere 2%. The 18% increase was mostly the result of the more than one billion dollars in value from the new buildings and deflected the blame in news articles for the school and city tax increases, plus the reevaluation. In 2014, Local officials, increased taxes by more than 3 times the increase in inflation and bragged about how everyone was to blame for the increase in taxes, except them. The new buildings paid municipal, school and county taxes in 2014 to the city, and those taxes were deposited in the city treasury. In 2015, the city had to pay the 2014 county taxes they collected, causing more headlines blaming the county for the increase in taxes in 2015. To add insult to injury, the city used the extra 2014 school taxes collected from these new tax payers in 2015, so they could boast that they did not increase taxes. Once the reevaluation was completed, the State treasurer’s office declared that properties in Hoboken were now assessed at 89%. After a reevaluation is completed, most properties should be assessed as close to 100% of their true value as possible. Both the reevaluation company and the local tax assessor recognized how difficult it was to come to that 100% number, with an unprecedented increase in values that occurred during and after the reevaluation period. They made the proper recommendation to the Mayor and City Council that a reassessment was required to ensure that all tax payers were paying their fair share of municipal taxes, but their recommendation was rejected. Everything that could hide the truth of local government spending increase during a revaluation year occurred in Hoboken in 2014 and 2015. If the Mayor and City Council had approved the reassessment in 2015, the cost would have been minimal because much of the work required for a reassessment was done in the 2014 reevaluation. With a reassessment, the distribution of collected taxes from each taxpayer would have been fair and equitable than it is today. If you believe that your property is over assessed, use feature #1. This feature is not an exact science, but can give homeowners an idea if there is a chance for a successful tax appeal. The only effective way to know if a residential property is over assessed is to do a market analysis of a property. Many REALTORS offer free market analysis which supplies a homeowner with recent sales data. The homeowner can use that information to help determine the value of their property. If a property owner does their own tax appeal they will need a list of comparable sales. Only a Licensed Appraisers can testify at a tax appeal hearing of the value of property. For a better understanding of the tax appeal process click here. When looking for a house, condo or apartment to rent MLSguide.com is the place to go in Northern New Jersey...Hudson County. MLSguide.com has more listings posted for Jersey City and Weehawken then any other website.